(UNITED STATES / WILDAID) – China, which was the largest market for illegal elephant ivory, will ban all domestic sales of ivory products effective December 31, 2017. Described by WildAid CEO Peter Knights as “the greatest single step toward reducing elephant poaching,” the ban has already led to an 80% decline in seizures of ivory entering the country, as well as a 65% decline in raw ivory prices. Poaching in Kenya is down from 390 elephants killed in 2013 to only 46 last year, according to the Kenya Wildlife Service, and by 55% at three main sites in Tanzania in 2016 compared to 2015. As part of China’s landmark policy, 172 ivory carving factories and retail outlets are being closed by the end of the month. During 2017, ivory prices around China were reported at 65% less than 2014 peak levels. 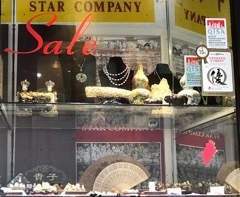 Some locations offered additional discounts of up to 50% off the already reduced prices. In many cities, discounts on remaining inventory were advertised as retailers tried to sell off their products before the ban comes into effect. While seizures of illegal ivory shipments in China were down by 80% in 2016 from previous peak years, according to the State Forestry Administration, just last month customs officials in Guangxi, China seized 165 tusks from an individual’s rural home. The 360-kilogram ivory haul has an estimated illicit value of US$4.4 million. The seizure indicates that Chinese authorities are utilizing more intelligence-based investigations to address the illegal wildlife trade, rather than opportunistic seizures at borders. In 2012, former NBA star Yao Ming and WildAid produced the first documentary on ivory poaching to air nationally on China Central Television, China’s state broadcast network also known as CCTV. Additionally, with WildAid, African Wildlife Foundation and Save the Elephants, Yao Ming launched one of the largest ever public awareness campaigns. Chinese public and private media donated more than US$180 million in media space during 2013-2016. As a result, a 2017 WildAid survey showed a 70% increase in knowledge that ivory comes from poached elephants over the past five years. In 2014, Yao Ming proposed to the National People’s Congress that ivory sales be banned in China. That same year, China carried out its first ever destruction of seized ivory, indicating a sea change in attitude from the government. After strong collaboration with the Obama Administration, President Xi announced the ban on December 30, 2016. Many Chinese celebrities joined Yao Ming in the “Ivory Free” campaign, including Li Bingbing, Jay Chou, Lang Lang and Jiang Wen. International icons Prince William, David Beckham, Lupita Nyong’o, Maggie Q, Sir Richard Branson, Edward Norton, Ian Somerhalder, the cast of The Walking Dead and many others also participated in the campaign. Dozens of messages featuring WildAid ambassadors were broadcast on more than 25 TV networks, outdoor video screens and movie theaters in China. Also, thousands of billboards were placed in over 20 Chinese cities. The United States has already implemented its ivory sales ban. In Hong Kong, lawmakers have just reviewed the government’s proposed plan to ban the city’s ivory trade. A final vote in the city’s Legislative Council is expected in early 2018. Singapore announced that it is considering a full domestic ivory ban. 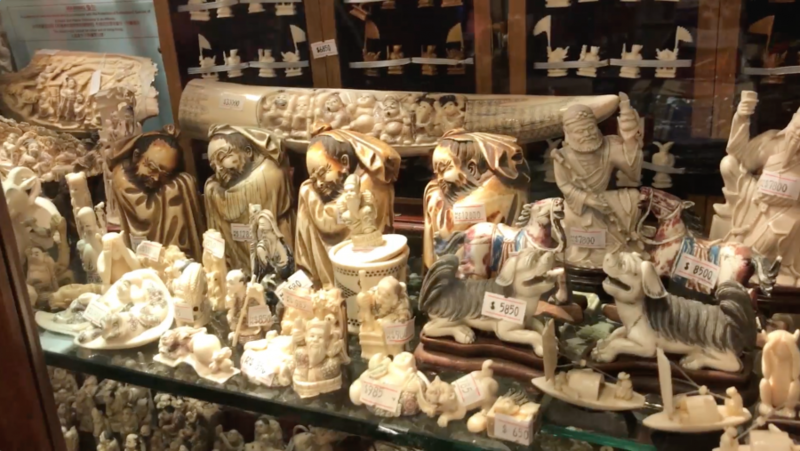 Taiwan has undertaken a review of its regulations and is cracking down on illegal ivory sellers, and has announced a ban on domestic ivory sales starting in 2019. Thailand has enacted strong regulations to control the ivory trade over the past two years. Since the ivory act was introduced, 42% of all traders (91 in total) have filed voluntarily to revoke their licenses by mid-2017. Thailand has also seen a 58% decrease in sales of registered ivory items compared to mid-2016. No new purchases of ivory inventory have been reported by licensed ivory sellers in Bangkok in the past two years. Vietnam is also strengthening its laws and regulations on wildlife products, including ivory, with heavier fines and penalties, including imprisonment of up to 15 years for 90 kilograms or more of ivory. Since October 2016, law enforcement agencies have seized multiple shipments of ivory amounting to 12 tons. IUCN estimates that the population of African elephants declined by 111,000 over the past ten years. The overall trends in the poaching of African elephants show a decline from the 2011 peak, but are still at levels too high when viewed continent-wide. The overall population of African elephants is likely to have declined in 2016. While efforts in Eastern Africa have helped reduce poaching to pre-2008 levels, unfortunately illegal killing of Central Africa’s forest elephants remains very high. This compounds the dramatic losses experienced in the region over the past decade. Between 2008 and 2016, elephant populations declined by 66% in parts of Cameroon, Republic of Congo, Central African Republic and Gabon, according to a WWF survey.